Back when I was in elementary school—and when my dad had more cartilage between the discs in his lower back—I used to bike with him while he did his marathon training runs. We were a good team. I biked about as fast as he ran, he’d push me up the steep hills, and I slowly learned how to stay close to him without constantly clipping his heels with my front wheel. It’s good to be biking with my dad again, although now we’re both on bikes, I’m quite capable of getting up very steep hills, and the scenery is a little different. 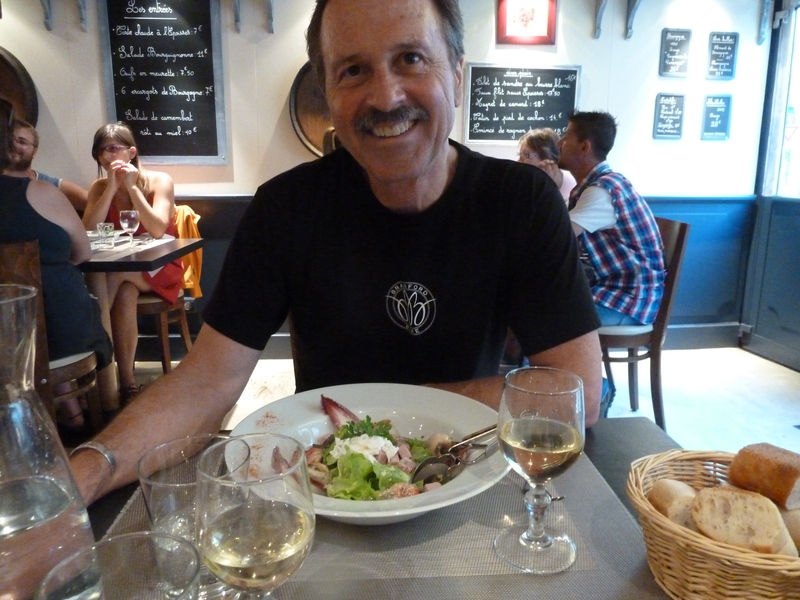 We’ve been in the Bourgogne (Burgundy) wine region of France and are working our way towards Basel, Switzerland. The riding has been great so far and we’ve even been getting a little sunshine. 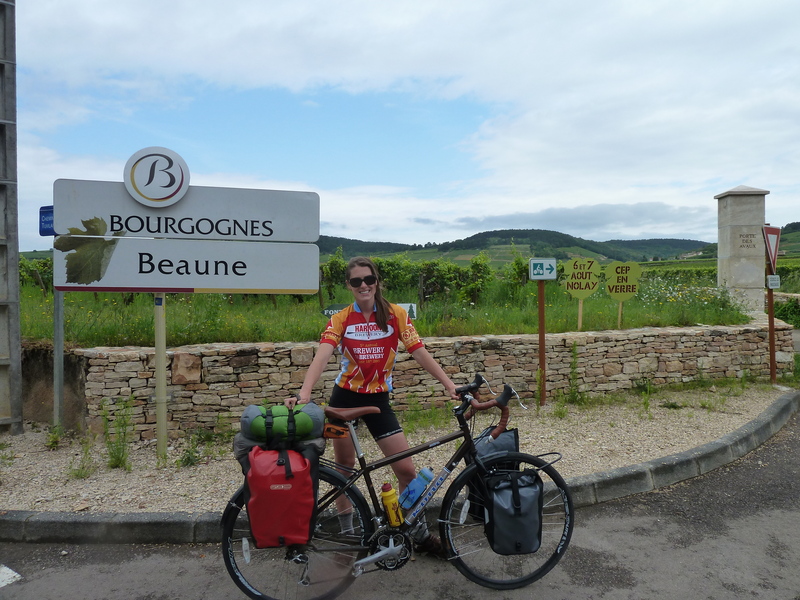 We started our ride in a small town called Beaune where my dad, Harry, rented a bike from a small cycling touring company. 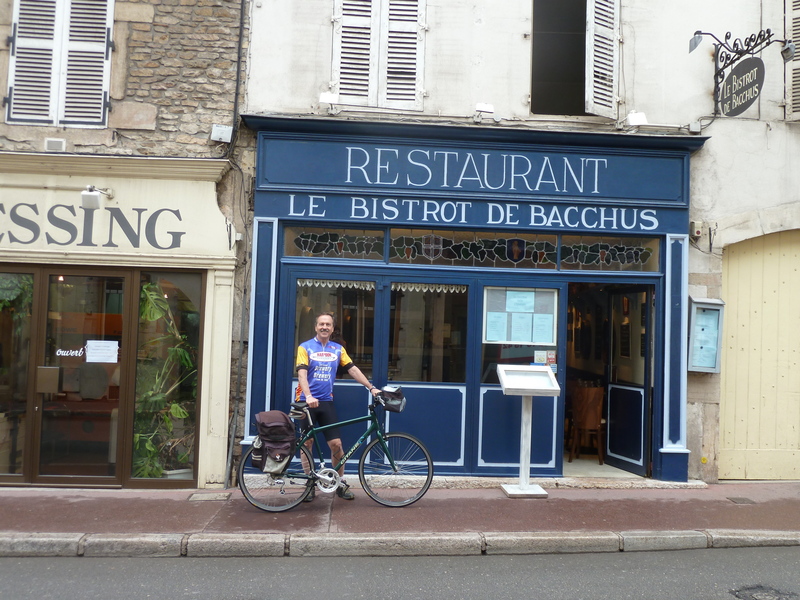 My sister-in-law, Allegra, actually knew the proprietors of this small shop from her days leading Butterfield and Robinson cycling tours throughout Europe over ten years ago. 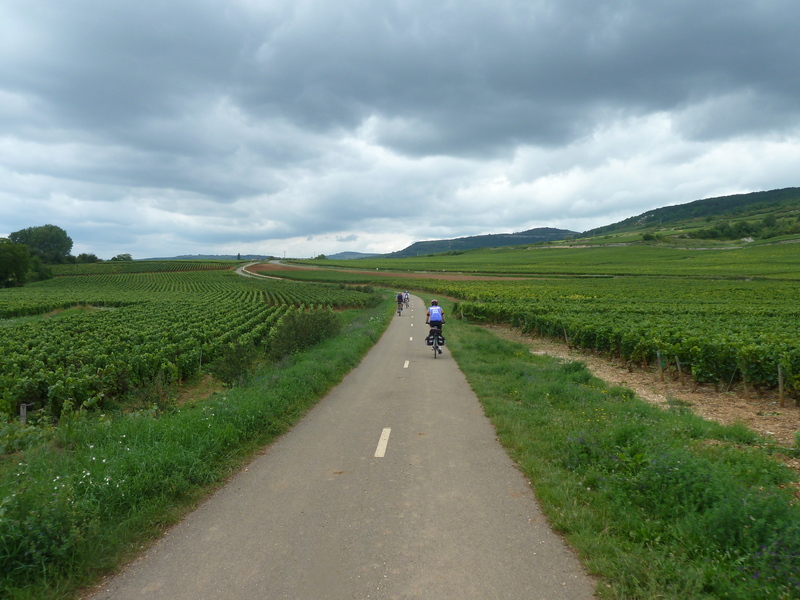 We left Beaune and worked our way south through some of the most famous vineyards in the world. I can’t say that I knew much about fine French wine and didn’t recognize the names of most of the vineyards, but my dad provided insights along the way. We went through the Puligny-Montrachet vineyards which are very small actually, but produce some of the most renowned—and expensive—wines in the world. 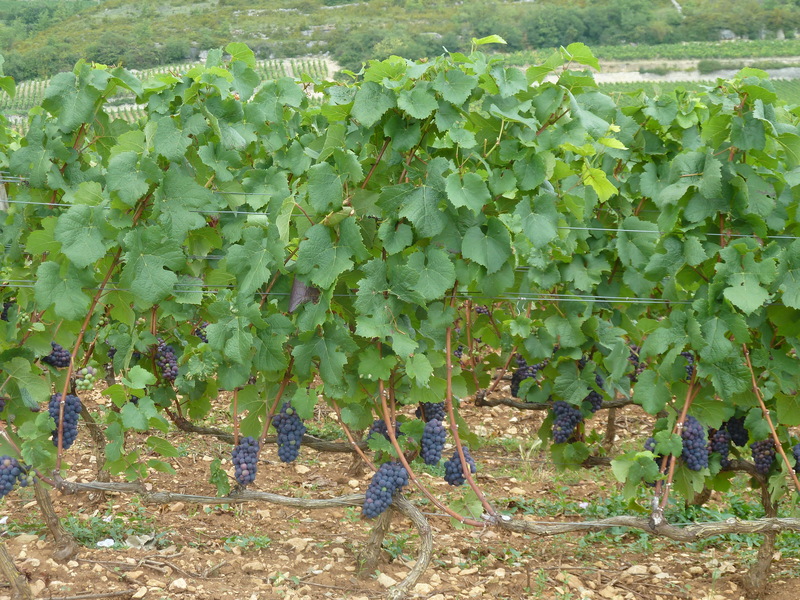 A few vintages of these wines have asking prices of over 1,000 Euros a bottle. We did not stop to do wine tasting; Harry thought 11 am was too early to start drinking. He was probably right. It was an incredibly humid day and by the time we finished our ride we were both a little dehydrated even without the alcohol in our system. Harry loves people and he is getting to know the French one person at a time. Everyone we pass is greeted with a “Bon Jour!! !” and a wave. People in the French countryside don’t speak much English at all. We collectively know about 50 French words, although my dad has been very creative about combining his limited French vocabulary with English and Spanish. Not knowing how to speak a language has never stopped him from having discussions with people while we are travelling. The French seem to appreciate his efforts—although they don’t always understand what he is trying to say—and I certainly have nothing to bring to the table with my French abilities. We’re having a great time; enjoy the photos! Our new favorite restaurant. Harry ordered the Beef Bourguignon...a very typical local dish! 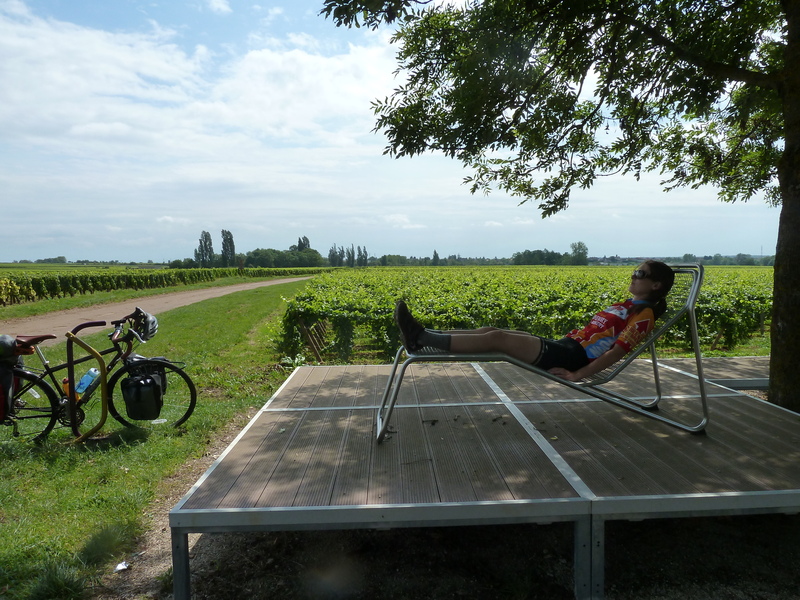 A nice rest stop with views of the vineyards. 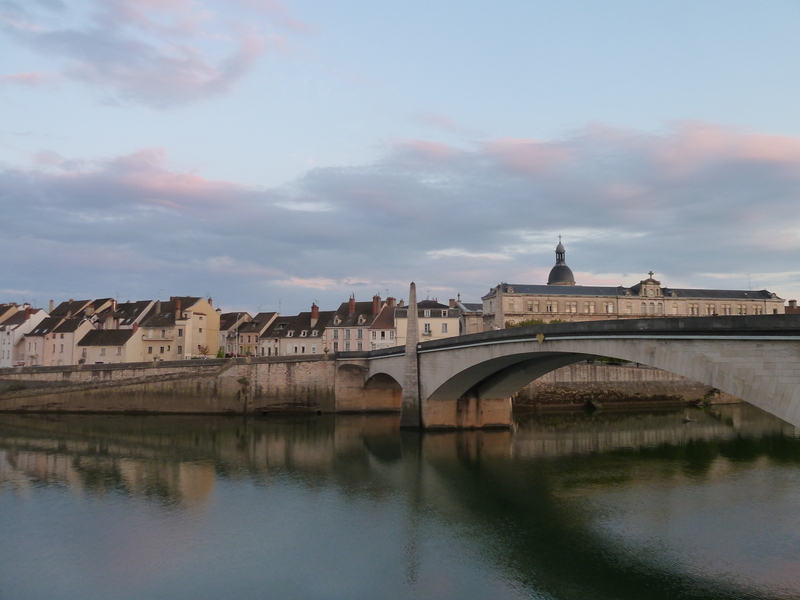 Chalon-sur-Saone. We stayed here for a night. 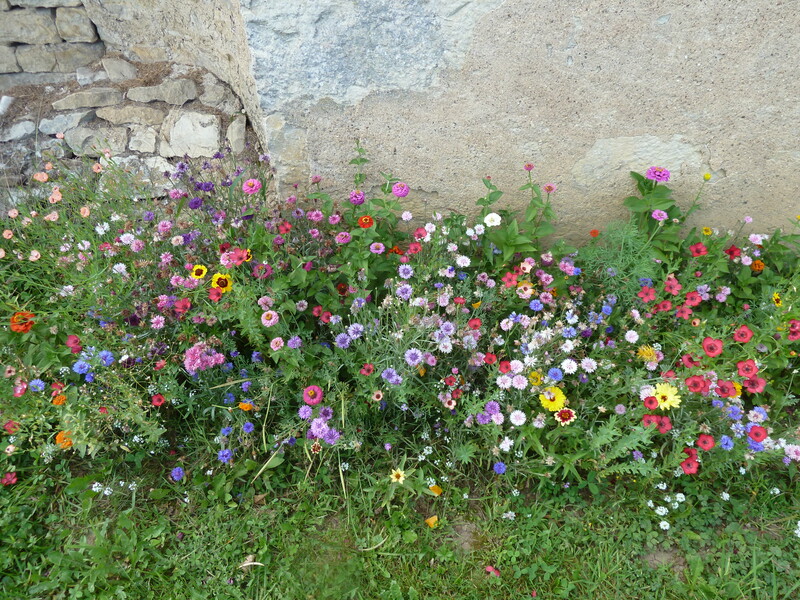 I love the flowers! Love you both. Looks like you two are having so much fun! I love the pictures. Miss you Chrissy!